The GPS Station UNR2 is located in Mesquite Nevada, approximately 60 miles North East of Las Vegas. The purpose of the permanent GPS station is to measure the vertical ground motion as water is extracted from the water table below. 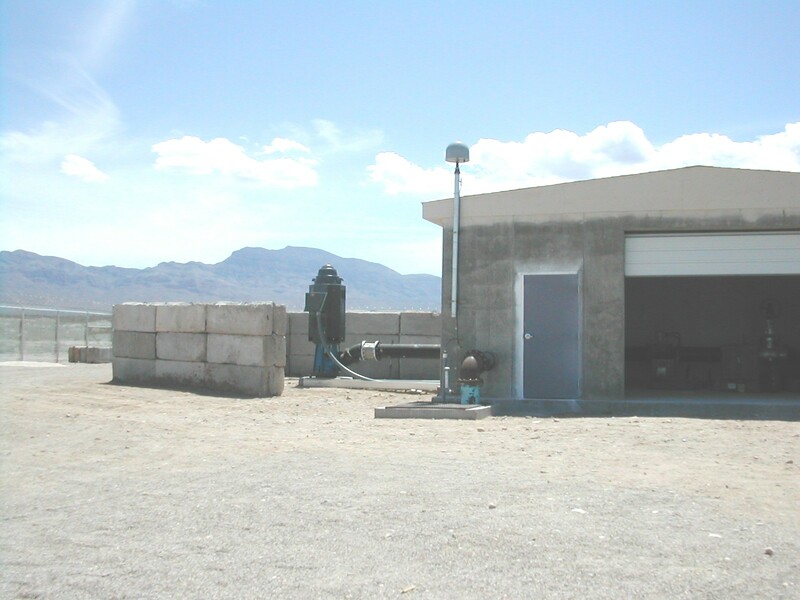 The GPS equipment is contained in a water pumping station which has been recently installed and is maintained by the Virgin Valley Water District. The water pump at the station is capable of extracting 3000 gallons of water per minute from the water aquifer below. Both the GPS station and water pump came on line the first week of May, 2003. In addition to the base station, 10 campaign systems consisting of Trimble 4000 receivers and choke ring antennas were setup in the vicinity of the station to collect data for approximately 4 weeks.